This is not nearly as big a haul as last year, but I had to have the buttons and they weren’t cheap! 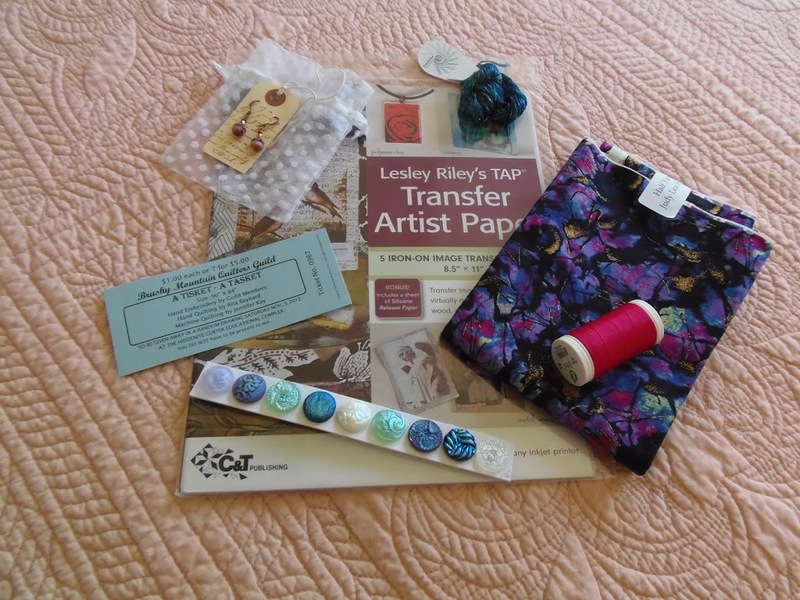 I’m very excited about the Transfer Artist Paper which claims that you can transfer prints from your computer to almost any medium! The paper and the fabric are from Judy Lea Enterprises. Judy will be opening a brick and morter shop in downtown Concord, NC, this summer! The threads are from YLI, and the earrings are by Susan Edmonson. I think they’ll match my vintage looking necklace from Vanessa at Beadlush. (Someday, I’ve got to tell you about that store!) I met lots of terrific, creative people and got links to their websites. I’ll have to share those sometime, too. 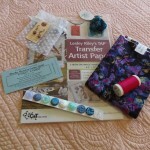 Filed under buttons, earrings, loot, thread, transfer paper |	Comments Off on Loot from the show!